The two parts of the new Nord Stream-2 gas pipeline will be operational by the end of 2019, said Gazprom CEO Aleksey Miller. Gazprom expects Germany’s BASF subsidiary Wintershall to join the project in September. "We will use the know-how Nord Stream accumulated during construction and operation of the Nord Stream-1 pipeline. The successful track record on the Baltic Sea will help us to optimize construction costs and timeframe. Both pipelines of the Nord Stream-2 project will be put into operation by 2019 year-end," Miller said Friday at the annual meeting of shareholders. A joint company will be established in the near future, he added. The Russian gas monopoly would retain a 51 percent stake in the project.Partners with Gazprom will each receive a 9-15 percent share.The project's route is expected to follow the 1,224 kilometers of Nord Stream which opened in 2010. Nord Stream targets markets in Germany, France and the UK, and other EU countries. “Building new transport infrastructure along the shortest route connecting the gas fields in the north of Russia and the markets of Europe will improve the safety and reliability of supplies under new contracts,” said Miller. 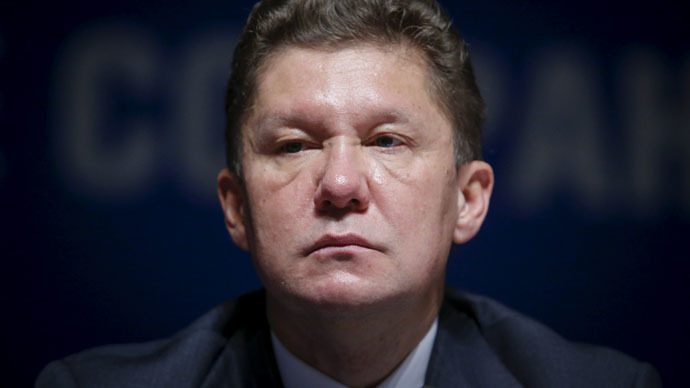 Gazprom does not need the approval of the European Commission to begin construction, he added. Gazprom signed a memorandum of intent to cooperate on the new gas pipeline project via the Baltic Sea with Germany’s E.ON, Royal Dutch Shell and OMV of Austria at the 2015 St. Petersburg Economic Forum (SPIEF) last week. The new gas project was dubbed Nord Stream -2, as the route will be 86 percent the same as the route of the Nord Stream pipeline, RIA Novosti reported Thursday quoting NS technical director, Sergey Serdyukov. The parties intend to build two gas pipelines off the coast of Russia through the Baltic Sea to the German coast. It will provide direct gas supplies of up to 55 billion cubic meters a year to European customers.